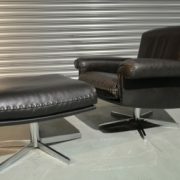 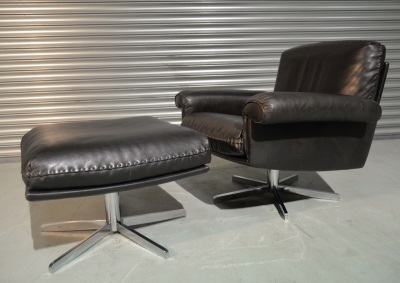 Ultra-rare and highly desirable de Sede Executive swivel lounge armchair and ottoman. 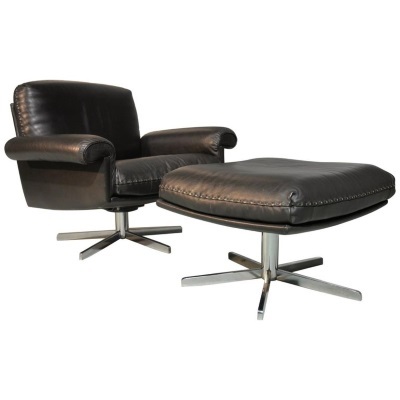 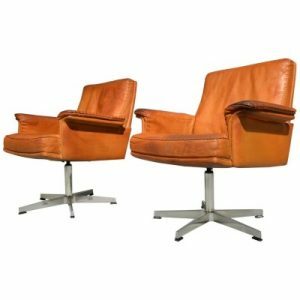 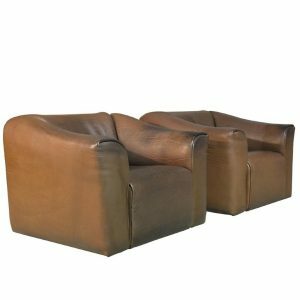 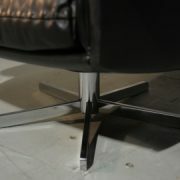 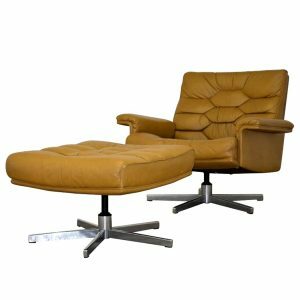 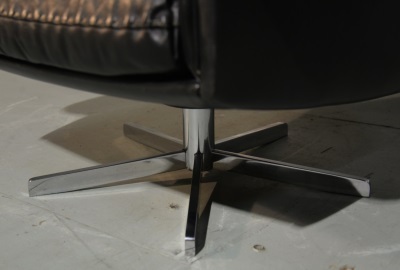 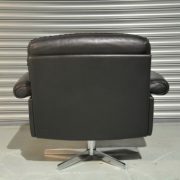 Built in the 1970s by de Sede craftsman in Switzerland, extremely comfortable. 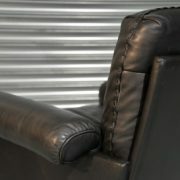 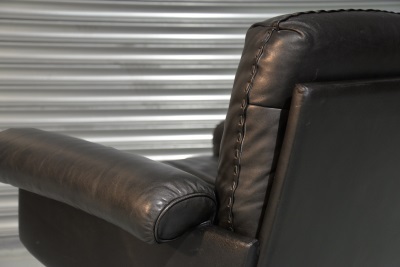 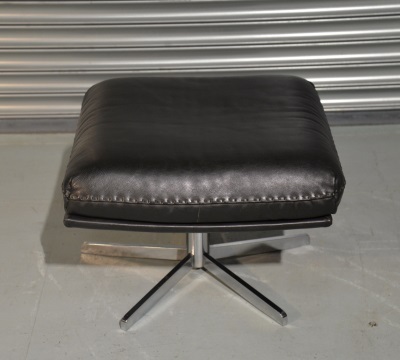 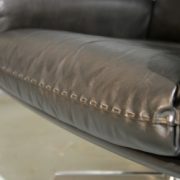 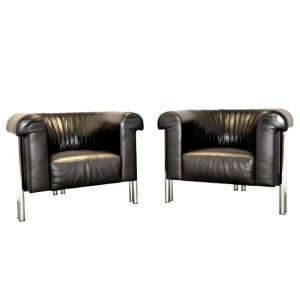 Upholstered in stunning soft black aniline leather with whipstitch edge detail sitting on polished chrome-plated swivel legs. 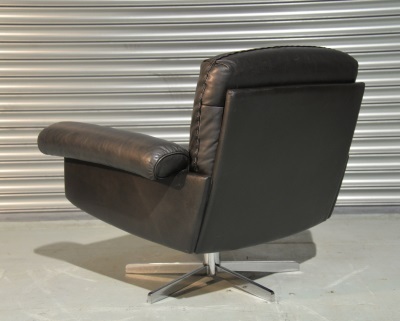 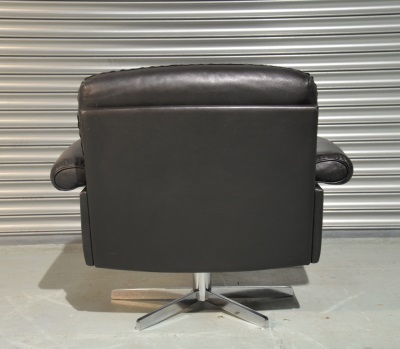 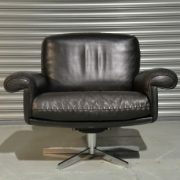 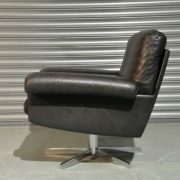 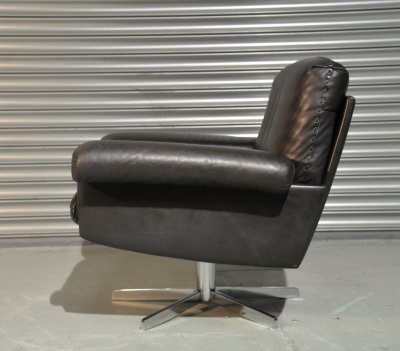 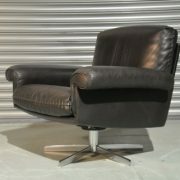 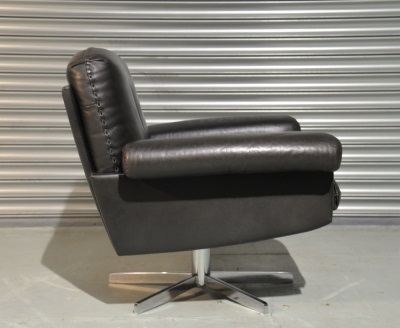 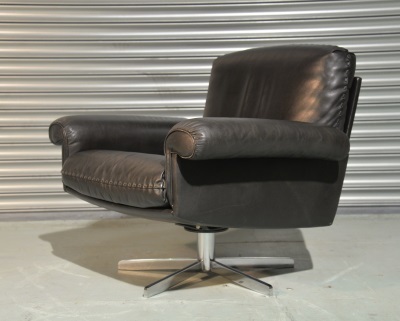 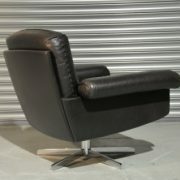 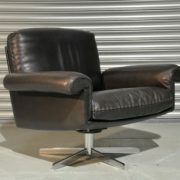 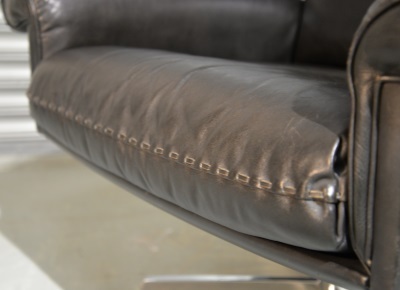 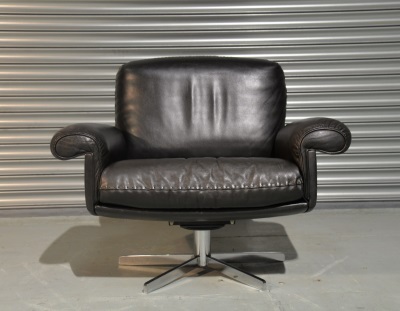 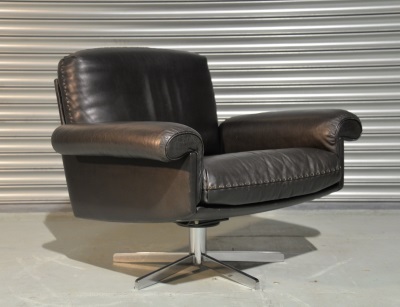 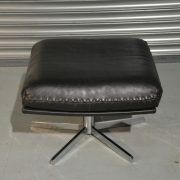 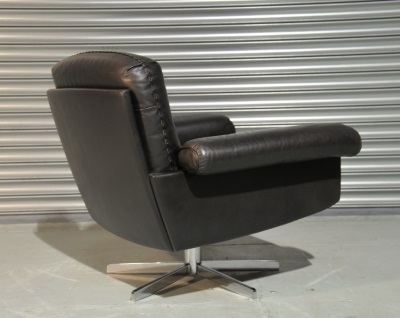 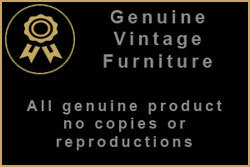 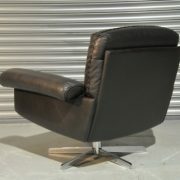 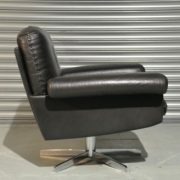 This swivel lounge armchair and ottoman and is in excellent vintage condition.